Gadgets are no longer single purpose items. These days, we look for devices that can do it all. If I can find a pair of headphones that let me answer calls and listen to music wirelessly from my computer or smartphone, then that’s a product I’d buy. 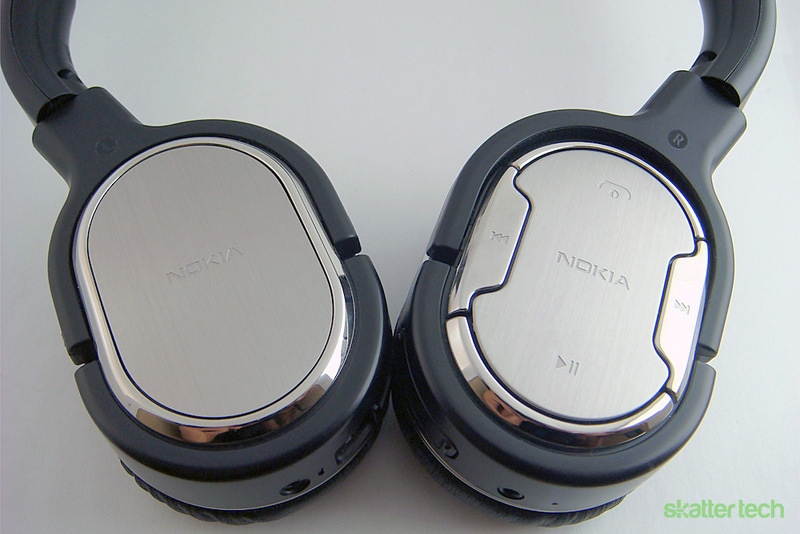 The Nokia BH-905 is an attempt to fill this niche market. The market markets these as high end, noise-canceling headset that for just about any Bluetooth-enabled gadget. With a hefty price tag, somethings are worth considering before taking the plunge. The BH-905 takes the traditional noise-canceling design and gives it a twist. 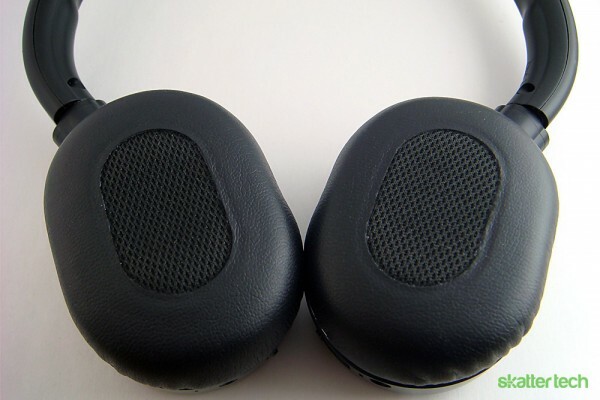 The headphones are constructed like most noise-canceling headphones with a headband and two ear phones that can be adjusted depending on the user. The earphones rest comfortably on your ears rather than completely covering them like typical Sennheisers headphones. I enjoyed this alternate design because the pads were comfortable, and I didn’t feel trapped by the headphones. More importantly, I found that the headset was surprisingly secure, and I could wear them for extended periods of time without worrying about them falling off. However, the aesthetics were disappointing.While the headphones would look great with a silver finish, these are constructed with cheap-looking plastic. The appearance is reminiscent of a cheap impulse over-the-counter electronics. While I normally don’t care about how something looks as long as it can do what it is supposed to do, but the BH-905 has such a huge price tag compared to its competitors that everything, including style, begins to factor in. The Nokia BH-905 functions in three primary modes. The first is as a physically connected stereo headphone using one of the many auxiliary plugs provided. However, if you’d rather cut the cord, the second option is a Bluetooth-powered stereo headphones. Finally, the headset can also be paired with Bluetooth capable phones for making phone calls while listening to music wirelessly. From these three modes, enabling the active noise canceling (ANC) makes your conversations or music experience unobstructed with external sounds. With so many possible options, the headset is clearly trying to tap into audiophiles and hands-free users alike. The fact that Nokia could cram so many features into a single device allows users to clear up the clutter of needing both a Bluetooth headset for calls and a pair of headphones for music. The headset comes in a black leather case with four adapters and an extension cable for the standard auxiliary plug, expanding the uses for this headset even further. 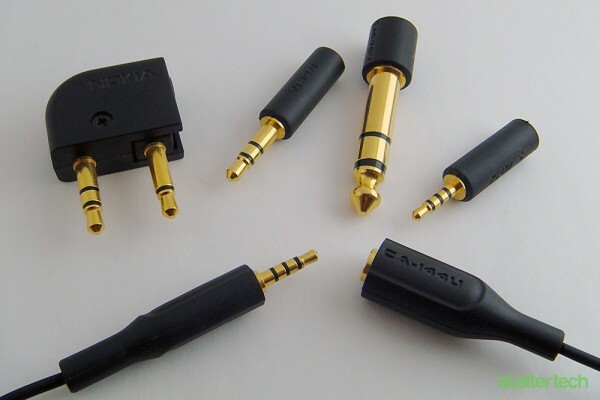 The adapters included in the case are a standard CA-144U auxiliary plug, an AD-52 micro headset adapter for phones, an AD-70 adapter for a 6.3mm headphone connector that is usually for amps in home theaters or musical instruments like guitars and pianos, and an AD-71. This last one is the most peculiar adapter included and works with airplane audio systems, which is something I had never seen before but enjoyed nonetheless because it further demonstrated Nokia’s attempt at making this the only headset I would ever need. The BH-905 can transform into a Bluetooth headset for audio and phone calls at the push of a button. Once it is connected, the right headset offers controls for navigating music. Playing, stoping, reweinding, and fast forwarding controls are all located on the right face of the right headset. Nokia also includes a volume rocker underneath these buttons to raise or reduce the volume output. In addition, these buttons can also be used to manipulate the audio level of your call and answer or end a conversation. A few of these are awkwardly placed and hard to reach, but once you get used to it, listening to music and answering phone calls become an entirely different experience with the BH-905. For all of its features, the BH-905 begins to lose its value once you actually listen to what you’re hearing. As a Bluetooth headset, the audio is subpar and there was a noticeable amount of crackling and popping. Additionally, when on Bluetooth, the audio quality decreased with each step away from the source. In the end, it all comes back to the BH-905’s rather large price tag. Although I could shuffle songs and change the volume, the audio quality did not live up to my expectations considering how much I was paying for the headset. This became even more obvious when I started making phone calls. The people I talked with complained that I sounded like I was in a tunnel and that my voice was distant. The audio quality I was receiving from the people I was talking with, however, was relatively clear and much better than my cell phone’s built in speakers. Moreover, with the ANC activated, the people I called became exceptionally clear even in the noisiest of places. The BH-905 makes up for its lackluster Bluetooth quality with exceptional stereo sound when physically plugged in. Admittedly, I am not the biggest audiophile, but I was stunned the minute I plugged in the headphones into my home theater system. I had never heard a clearer, more vibrant sound, and things like staging and depth finally became part of my audio vocabulary. 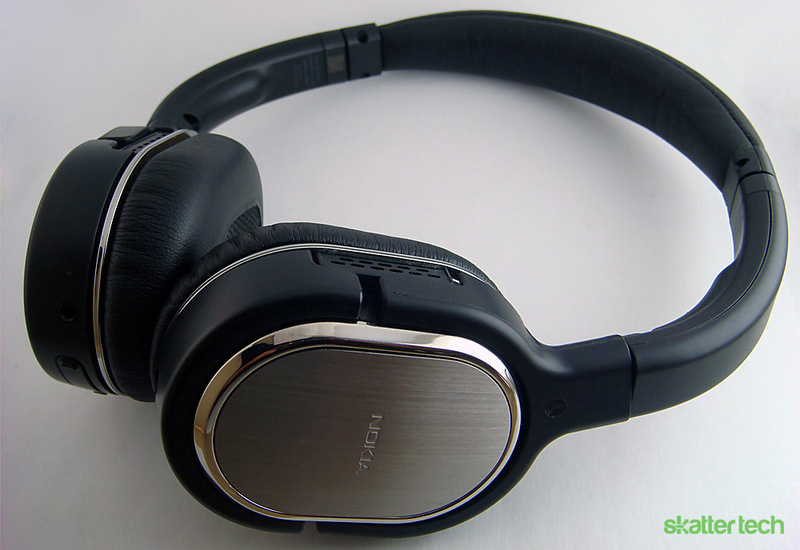 I played the same song on my $14.99 Sony headphones, and the difference was astounding. The headphones were loud, and I couldn’t hear the unique instruments that comprised the song. With the BH-905, I could hear the strings, harp, and piano as well as their imagined location on the sound stage. However, I must point out that the source plays an important role when trying to tap into the headphones full potential. During my test period, the BH-905 initially worked fine with all of my equipment. After a while, though, the headset began to fail when plugged into my laptop and mp3 player. The singer’s voice gradually sounded more and more distant while the musical instruments still had the same complete quality. This massive drop in quality signaled a problem between the source and the headset, and after thorough testing I believe the problem was the headphones became hard to drive after long usage because of its 24 ohm impedance. A bit higher than your standard mp3 headphones, the BH-905’s impedance makes sense considering Nokia’s primary market for this high quality headset and most of the target users would have amps that could give the headset its necessary electrical input. But for everyday consumers, the headset seems to be too intense for low power items like netbooks, mp3 devices, or portable video players. The headset did not malfunction while in Bluetooth mode or was plugged into a proper amplifier; however, in a source like a netbook or mp3 player, the headset is just too difficult to drive. If you plan on buying the BH-905’s, then do it for its incredible versatility. Although the headset excels in some areas and is a bit too mediocre in others, the fact that Nokia could fit so many functions into one device is makes this headset a bit above the rest. Even if the audio may not be the best compared to Sennheisers or other top notch brands, the BH-905’s still provide a clear and delightful music experience when plugged into your home theater system, and once the ANC is activated, the quality of audio grows exponentially. However, it is important to acknowledge the headsets mediocre Bluetooth quality. When listening to audio, all I wanted to do was plug it back into an amplifier to remind me why the purchase was worth it. Moreover, there are so many other better quality hands-free Bluetooth devices that I would not recommend this for someone looking to make all of their calls with a Bluetooth headset. But if you want an all-in-one device that gives you the ability to make phone calls, listen to audio with or without a cord, and can afford the device, then the BH-905 is a great purchase. However, if you’re on a budget and would rather have a device that excels at one of the many functions the BH-905 is only moderate at, then definitely look elsewhere. Could you please share the make & model of the device/phone you used while listening the BH-905 in BT stereo audio (A2DP) mode? It is very surprising to read comments on “subpar” audio quality in BT stereo mode especially since other reviewers have reported the sound quality to be identical/nearly identical to wired connection. I also tested the product with a 2006 macbook and I received similar results. For the iPhone 3GS, it worked fairly well, but the iPhone’s lack of remote control bluetooth profiles was an issue. Audio worked fairly well. I also tested this with the Motorola Devour, it was disastrous. Music was chopping every few seconds. I tried the Altec Lansing Backbeat with the same phone, it worked a bit better, but also problematic. We deemed that phone as buggy. I then tried it with a Dell XPS M1530. It worked, but once again, audio would get choppy if we stepped more than 5 feet away. It also caused a blue screen of death after a hour or so of use. Bluetooth drivers are likely poorly built. As I’m getting ready to ship this review unit back to the Nokia offices in Texas, I did one last test after reading your comment with the unreleased Motorola Droid X. It worked pretty well, better than with any device I had used before. So here’s what that tells me, the BH-905 is fairly capable, but the Bluetooth v2 technology isn’t. As I’ve tested devices including the MotoRokr S9, Samsung Modus 3500, Altec Lansing Backbeat, and a Sony Ericsson model, I’ve seen similar problems over and over. None have been immune to the quality degradation. Audio simply isn’t transmitted at the same high bit rate as it would be over a traditional wired connection. Hopefully Bluetooth v3 will solve that as it becomes more widespread. While it maybe unnoticeable to some consumers, it’s easy to tell when playing FLAC quality audio from a computer or even MP3 320kbps on a phone. But let’s be clear, the BH-905 is the most expensive pair of Bluetooth stereo headphones I’ve used and the BEST sounding. Unfortunately, that didn’t keep it from crashing once or twice. We had to press a few button combo after looking through the manual to have it hard reset as the power button didn’t do the trick. Thanks for the very detailed reply. It’s indeed unfortunate that some Bluetooth drivers and A2DP source devices still suffer from poor quality or faulty implementation. It’s critical to note that support is required only for “one possible bitpool value”. I.e. the following Table 4.7 is just a recommendation – not a requirement. It’s critical to note here that it is the SRC (i.e. Source device) who makes the decision on which audio parameters are taken into use, including the SBC bitpool value used to encode the audio signal. Hence even if the headset supports high bitpool values it is still the source device that decides the bitpool value. So it’s the same story as with wired headphones: Best possible audio quality can only be achieved when both the A2DP sink and the source device possess high quality. It is especially important that the source device has the capability to support high bitpool values – and that it is programmed to use them when ever this is enabled by the sink device, e.g. the A2DP headset.